Friends of TSH and Camp Odayin - I am honored to be here. Honored to ride for a cause that means so much to so many especially during a time when economic turmoil seems more the norm. Aside from the things that we cannot control, I have witnessed countless families give from the heart when it can easily be spent on personal forward movement - both family and companies alike. To all of you - I say thank you. To create such a list would be endless and please take this token of gratitude as sufficient. We have added some crew members, we have made major adjustments, we have jumped through the rings of fire to only get a little burned yet we have prevailed...as a family. 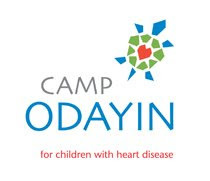 Our family is simply defined as you - our friends, co-workers and strangers that have devoted time and money for Camp Odayin. We are moving into final preparations for equipment, travel, strategy, potential issues (normal), forms and so on. This process is daunting at times but when I see the children at Camp Odayin being able to enjoy their lives - it is all of a sudden a joy to struggle. Our efforts are not done yet and we have miles/dollars to go to reach this end. I consider the race to be just getting to California....and the ride across this Great Nation the prize. I am reminded by the few from Camp Odayin that said " we will be watching and waiting to see Team Strong Heart cross this country" and I am truly inspired - and I trust that you are too. Enjoy the weekend - ride well, ride safe and as Tim says - "keep the rubber side down".